This client called us looking for help with their multi-level garden. They had lived at the property for several years and had made extensive renovations and were looking to Katrina to give it a revamp. The clients already had some existing paving, and the question was whether to replace it. 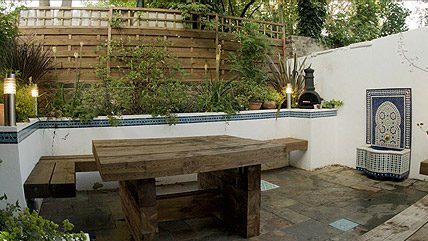 Given that the rest of the garden was to be landscaped, Katrina thought it was prudent to repave the entire area as its tired appearance would show up against the new design in the multi-level garden. At the upper terrace level of the multi-level garden, Katrina worked a monthly bend throughout the space. The centre of the garden would be covered by a gazebo, housing a space for a swing and monkey bars. The pathway leads down to the bottom of the multi-level garden, past the back gate and to the second paved area. This is where the trampoline would be hidden in the planting. A slide leads across the planting bed to an area of lawn and the second patio. Storage has been incorporated under the bench seats on the upper terrace area, and in the lower terrace there are storage cupboards with doors. This will allow for a variety of items to be kept in the garden without the need for a shed that would spoil the view from the house. 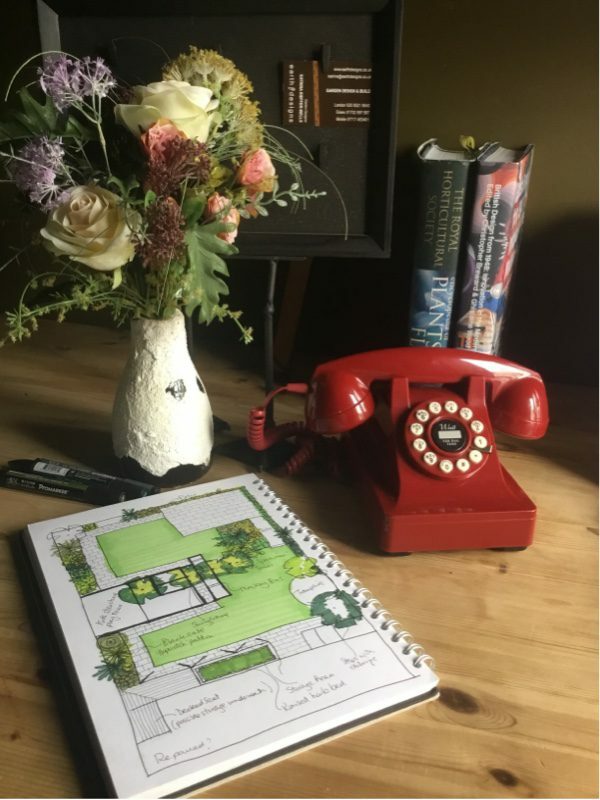 If you are looking for a Hockley landscaping company and live in the Essex, London or Kent area, book your free garden design consultation now by contacting Katrina and Matt on 01702 597587 or email us at info@earthdesigns.co.uk. Visit our Instagram, Pinterest or Facebook pages.